Corn, Borage, Oregano, Marigold, Beans and Nasturtium. Some types grow to be large, long-vined plants, while others grow into compact bushes. Grow at the edge of your garden to save space. 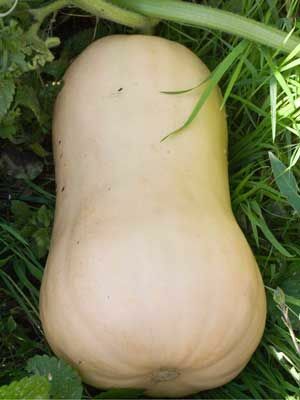 Harvest winter squash when they plants begin to die back and the rinds cannot easily be pierced with your fingernail. Wipe clean, and store indoors at cool room temperatures. Squash bugs and squash vine borers can be serious pests. Exclude them from young plantings with row covers. Butternuts naturally resist these pests.